To deliver the natural alternative to chemical ingredients that can irritate the skin, for a clearer and spot-free complexion! T-Zone products strive for effective and naturally purifying skincare to treat and target skin prone to impurities and blemishes. 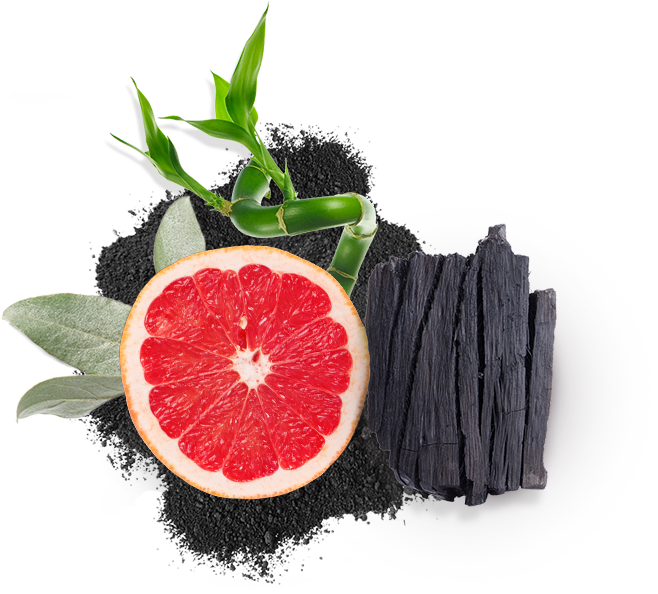 Activated Charcoal – ideal for drawing out excess oil and impurities from the skin, Charcoal has long been used for its absorption qualities in medicines and skincare. Bamboo Extract – helps to control an oily t-zone, whilst leaving the skin purified and shine-free. Tea Tree – naturally anti-bacterial, Tea Tree has been used for thousands of years by the Aborigines in Australia to treat cuts and wounds. Grapefruit Extract – perfect for refreshing the skin, Grapefruit also clarifies and purifies the skin of excess oils and impurities. Witch Hazel – is known for its soothing and healing properties, ideal for tightening and calming pores after using our Nose Pore Strips. Are T-Zone products tested on animals? Products are not tested on animals by or for T-Zone and this has been banned in the EU since 11th September 2004. How do I use the Charcoal & Bamboo Black Peel Off Mask? Please follow the below instructions very carefully. If you are unsure, contact us on Facebook or via our Contact Us page. How do I use the Charcoal & Bamboo Nose Pore Strips? Wash your face with a T-Zone Face Wash and pat your face dry. Thoroughly wet your nose. Peel the strip off the plastic backing and apply the smooth side to your nose. Gently press down to ensure good contact with the skin and leave the strip to dry for about 10 minutes. The strip will begin to feel stiff when it is ready to remove, when it does, starting at the edges, slowly and carefully remove the strip. What skin types do T-Zone products suit best? For oily skin types, we recommend using our Charcoal & Bamboo range which is ultra-purifying and absorbs excess oil and impurities from pores. For normal and combination skin types, we recommend using our Tea Tree & Witch Hazel ranges which provides anti-bacterial protection and soothes pores and spots. Where can I buy T-Zone products? You can find our Charcoal & Bamboo range at Superdrug online and in store and our Tea Tree & Witch Hazel Nose Pore Strips in Tesco online and in store. Do any T-Zone products include plastic microbeads? No T-Zone product includes plastic microbeads, instead we use natural alternatives.